Wheel alignment is one of the many services that we offer. This type of maintenance is crucial for optimising the lifespan of your tyres. It also has a significant impact on your vehicle’s handling, and by extension, your safety. Thomas Tyres provides expert 3D alignment by qualified technicians at all our branches. This cutting-edge method enables a single person to complete the job in as little as seven minutes. The device employed for 3D alignment uses two high-precision cameras to take exact measurements. This method also allows all wheels to be aligned simultaneously. Once the measurements have been collected, they’re processed in an integrated reference system which has camber and inclination pendulums in every sensor head, guaranteeing reliable results. This major improvement from previous methods eliminates the need for time-consuming, complex calibrations which are very susceptible to errors. Contact us today, or visit a Thomas Tyres branch to learn more about this crucial maintenance. We recommend wheel alignment every 10,000km – it won’t just save you money, it could spare your life. 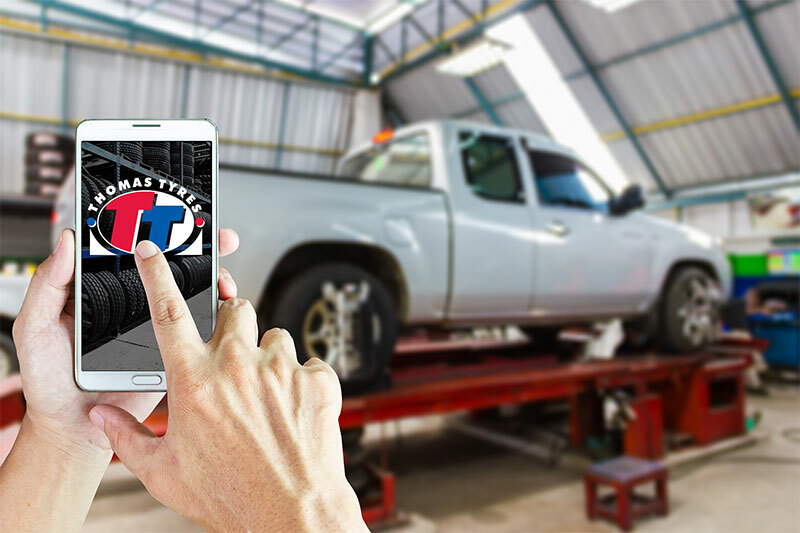 Thomas Tyres offers a mobile truck alignment service to all truck owners. The service caters for smaller own goods transporters as well as for bigger long distance truck and bus operators. Except for wheel alignment we also offer various under car / truck services such as shocks, brakes and all suspension related repairs. This service is available in Mapumalanga, Nothern Province, Swaziland and Mozambique. Charl on 082 467 3404.